The Top 5 Beachranking of the Gulf Coast of the USA from BeachUSA.info lists the 5 best beaches at the Gulf Coast. Every year, we create a ranking of the best beaches of the Gulf Coast of the USA. The Anna Maria Island Beach is located south of the city of St. Petersburg. 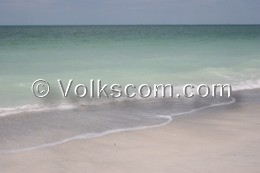 The beautiful sandy beach at Anna Maria Island consists of white leveled sand. No big hotels are situated at the Anna Maria Island and the beach are not as crowded as in other parts of Florida. Fort de Soto Park with its lovely North Beach is situated south of St. Petersburg There is a fascinating very fine white sandy beach at the North Beach of the Fort de Soto Park. 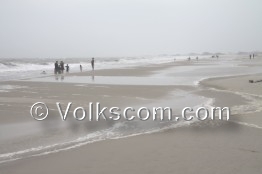 Sand Key Park is situated at Floridas beautiful Gulfcoast. Because of it’s fine white sand and the nice waves, the beach at Sand Key Park archieves the second place at the 2010 Beach Ranking. 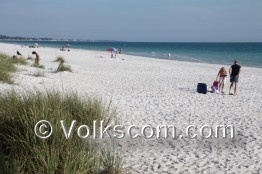 Although the beach at Sand Key Park became second at the 2010 Beach Ranking of the best beaches of the USA, the beach at Sand Key Park is the best beach of Florida (in 2010). 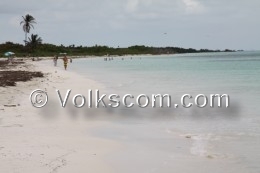 The Bahia Honda State Park is situated east of Key West. The leveled beach at the Sandspur Beach is just perfect for a day at the beach. At Dauphin Island, there are less tourists than at the more popular beaches. The beautiful beach at Dauphin island is wide and leveled.